Complement your pool design with an attractive vinyl liner from GulfStream Pools. Unlike concrete and fiberglass pools, a vinyl liner pool has an easy-to-clean surface that’s soft to the touch and looks great. 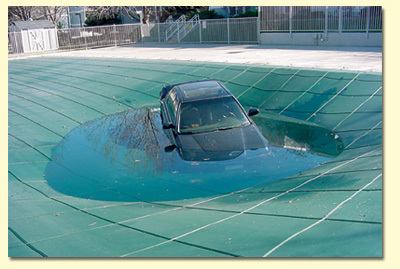 SAFETY COVERTS TO PROTECT YOUR POOL! A GulfStream Pools Safety Cover can prevent accidental intrusion by children, pets, and unwanted critters and debris during the off-season. 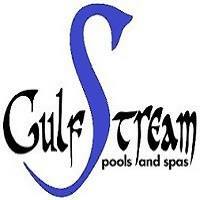 Protect your loved ones and your investment with a GulfStream Pools Safety Cover. A variety of designs and materials are available, including solid and mesh. Who says you can’t enjoy your pool in the winter? To heat your pool water efficiently, our next generation heaters take heat from the surrounding air and uses it to warm the water in your pool eliminating wasted energy. With a digital LED control panel, its an easy-to-read digital temperature display, and shows diagnostic codes for quick identification of components that might need service. 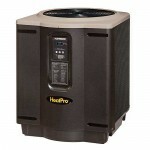 They provide the perfect water temperature for the perfect Outer Banks backyard paradise! The Aqua Rite™ is the easiest way for you to sanitize your pool, and keep your pool crystal clear and silky smooth! The Aqua Rite™ uses common salt (the same salt used in water conditioners) and converts it into “free” chlorine. The chlorine sanitizes your pool and then reverts back into salt. That’s right, the salt is recycled and never wears out. With only a teaspoon of salt per gallon, the Aqua Rite™ produces enough fresh chlorine (up to 1.45 lb per day) to keep a 40,000-gallon pool sparkling clean without the chlorine smell. You’ll never again have to worry about red irritated eyes, dry itchy skin, bleached bathing suits or green hair!